The joy of a holiday to Auckland is that there are so many extraordinary destinations within a few hours’ drive of the city. 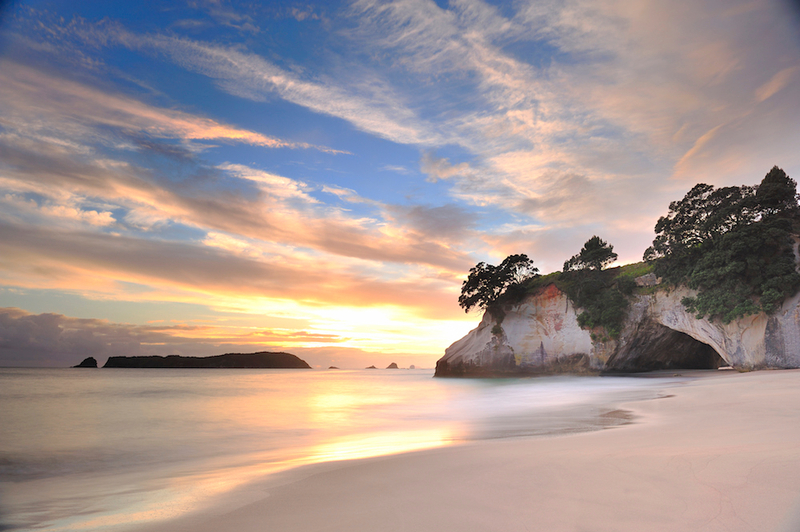 One such place is the spectacular Coromandel Peninsula, which juts out into the waters east of Auckland. A pilgrimage to this beloved spot on the North Island is a must if you’ve never been there before – and if you have, you’ll want to return. It’s home to some of the country’s most beautiful beaches, charming small towns and a beautiful laidback vibe that will inspire an instant holiday atmosphere. The most remote town on the peninsula, the Coromandel township is full of interesting shops, and great pubs and cafes. 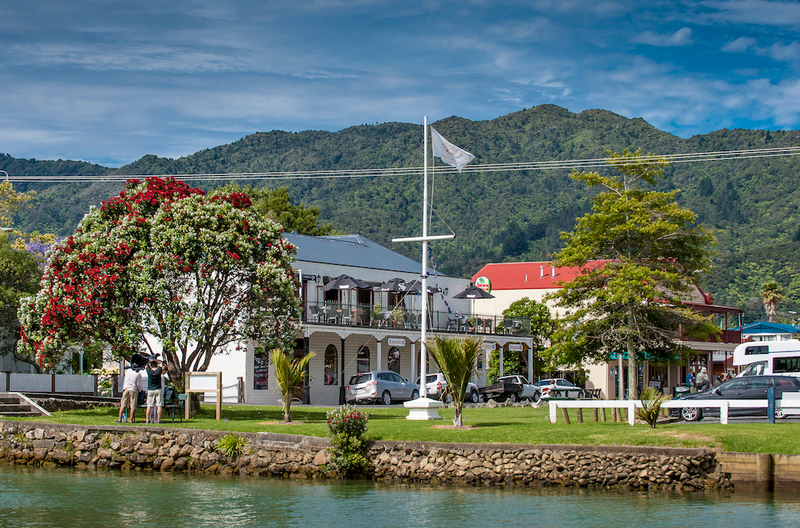 To reach the Coromandel township head to the historic gold mining town of Thames – about a 1.5-hour drive from Auckland – and then head north. 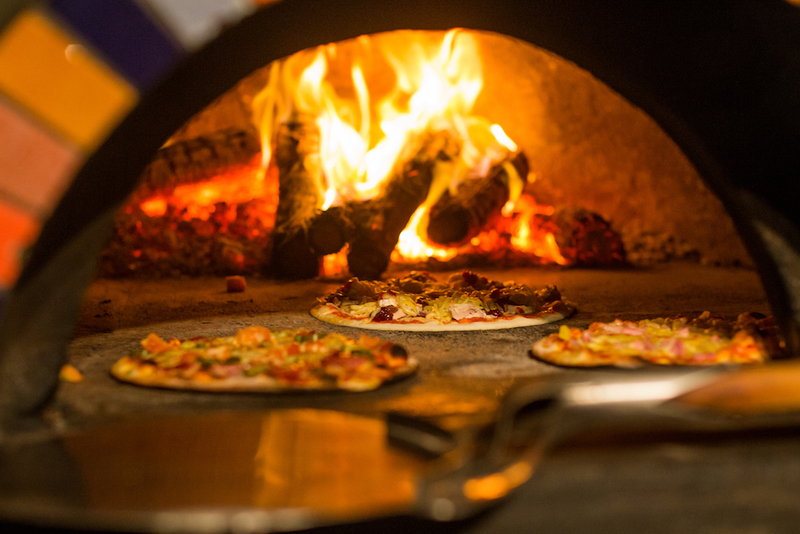 While you’re there, visit the Coromandel Smoking Company to pick up some delicious smoked kai moana (seafood) or and the Mussel Kitchen for a steaming pot of fresh shellfish. Made famous by its appearance in the 2008 movie The Chronicles Of Narnia: Prince Caspian, Cathedral Cove is a place of worship for film fans, and a place of awe for those who make the walk or kayak from Hahei Beach. The Cove is only accessible by boat, kayak or foot, which makes the experience all the more special once you get there. Go by kayak and you’ll take in some of the pristine coastline which is part of the Te-Whanganui-a-Hei Marine Reserve. 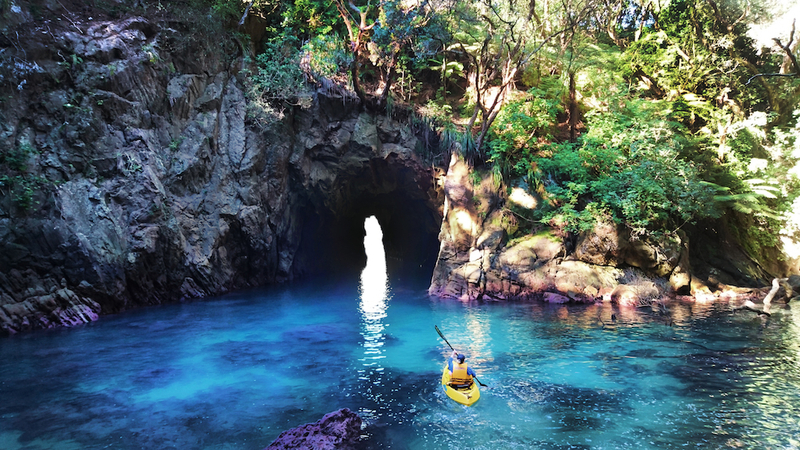 The easy paddle will eventually take you ashore where you’ll be greeted by creamy cliffs lined with sprawling pohutukawa trees acting as a grand entrance to the cathedral itself. The clear water of the cove and the magnificent natural structure make Cathedral Cove one of New Zealand’s most iconic destinations. From one iconic destination to another, Hot Water Beach is what put Coromandel on the map for visitors to New Zealand. The popular surf beach is just a 10-minute drive from Hahei and at low tide the beach unveils a secret that those who dig will discover. 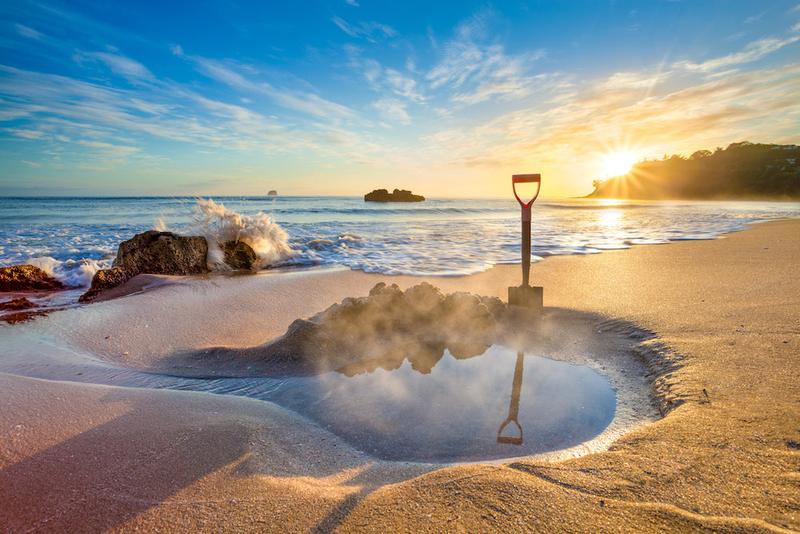 Grab a spade from the nearby store or bring your own and start digging in the sand until you hit hot water. An underground thermal spring not far below the surface will fill your DIY spa pool where you can relax and soak the day away… until the tide comes back in, of course. Approximately 600 metres off the coast of Whangamata Beach, at the southern end of the Coromandel Peninsula, lies Whenuakura Island. It’s known to the locals as ‘Donut Island’ due to the large collapsed volcanic blowhole that has created a turquoise lagoon in the centre of the island. Take a kayak tour or stand-up paddle board trip to explore the island which is owned by local iwi who act as guardians of this precious natural wonder. Save $285 pp on 12Aug departure! Save $630pp on 04Jun departure! Book early for great bonuses! Save $805pp! Great solo options!